Vehicle licence concession Links and Information. Australia is one of the few countries with an absolute ban on asbestos – ‘Zero Tolerance’ – and the Australian Border Force (ABF) is tightening controls on offending vehicle imports. Many countries still allow small quantities of asbestos (i.e. 1%) to be used but Australia is one of the very few with a zero requirement and a total ban on import and export except under very limited circumstances. Zero tolerance to asbestos, an Australia-wide ban on the manufacture and use of all types of asbestos and asbestos containing material (ACM), took effect on 31 December 2003. In order to support the domestic ban, asbestos or ACM imports to, and exports from Australia are prohibited, unless permitted by the relevant Minister. Australia signed a Zero Tolerance Asbestos agreement in 2003 and is now enforcing it. As of Monday 6th March 2017 and without prior notification, The Australian Border Force (ABF) implemented a new community protection question when lodging import declarations for all motor vehicle tariff codes – i.e. “Do the goods contain asbestos?” This may relate to brake linings, clutch linings, brake disc pads, gaskets, seals or any other parts of the vehicle. Most vehicle manufacturers prohibited use of asbestos components in vehicles from 1999. There is a double standard with new vehicles containing asbestos having been imported into Australia and Russell Manning has provided me with examples breaching the import ban. 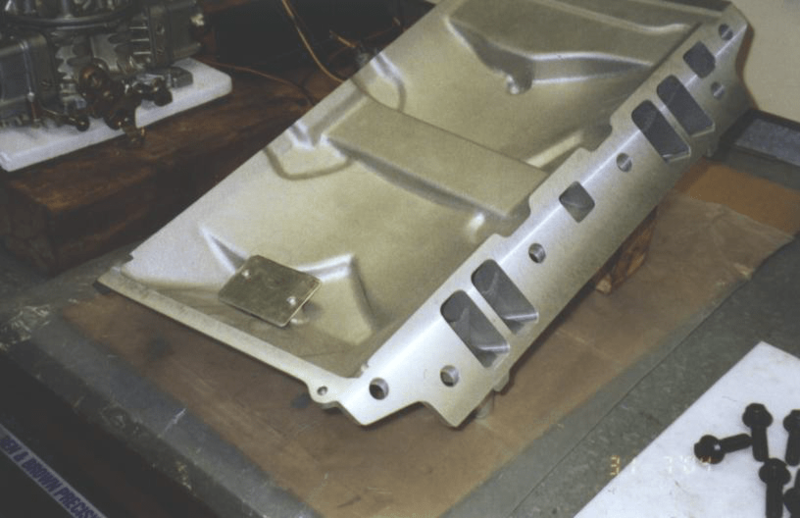 Recalls were issued but in several cases no action was taken apart from taking back unused stocks of the offending parts. Anybody considering taking their vehicle out of the country must also be are of this restriction as they will be required to provide the vehicle is asbestos free to bring their vehicle back into Australia. This can be a very costly exercise. There has been an instance where “destructive means” has been used to investigate for asbestos in a motor vehicle. The vehicle is a very original rare Shelby having a bill of $14,000 from ABF – and that is not including the repair costs and destruction of original vehicle components. Report from the owner is attached. (Annexure 2). This vehicle was en-route when Australia commenced enforcing the aero tolerance to asbestos so the owner did not have the opportunity to remove any asbestos prior to transit. This article does appear to answer the question whether the vehicle or only the asbestos containing components are seized. It appears there is a provision in the act to permit the vehicle to be taken to a workshop for further work. We are investing the only real solution which will involve refining the inspection and remediation process so it is not too onerous. I have been speaking Department of Environment in Canberra re the possibility of 1% acceptance for Australia. They are to advise details of the best person to speak with in ABF, Canberra. Even with a 1% tolerance, testing would still be required to know if it could be imported or not. Anyone with cooling problems may be interested in the following questions. 1) How much better / worse does a two row aluminum radiator with 1 inch tubes work in place of the same size radiator with four rows of 3/8 inch brass tubes and everything else in the cooling system remaining constant? 2) What about high performance water pumps versus stock for a real world temperature reduction? 3) What works better in the real world: a 17 inch seven blade flex fan at an engine idle speed of 675 RPM or a 2,360 cfm or thereabouts 17 inch electric fan? 4) Is straight water or 50/50 coolant better? b) brass radiators are limited to a maximum tube diameter of 5/8 to 3/4 inch. Brass and copper are very soft, so larger tubes made from these materials can’t handle the pressure. Modern high tensile aluminum radiators can be built up to 1 1/2 inch tubes. The larger tubes allow radiator manufacturers to increase the tubes / inch density. That reduces the thickness of the radiator while improving airflow through the radiator. This is because the most important criterion for any radiator is it’s total surface area. You should increase core thickness only after surface area is maximized. Beyond three rows the efficiency of the added rows at the back greatly diminishes. Generally a two row large-tube aluminum radiator is preferred for a low speed street cooling as this configuration minimizes pressure drop through the core and the fan power thereby required to pull air through the core. 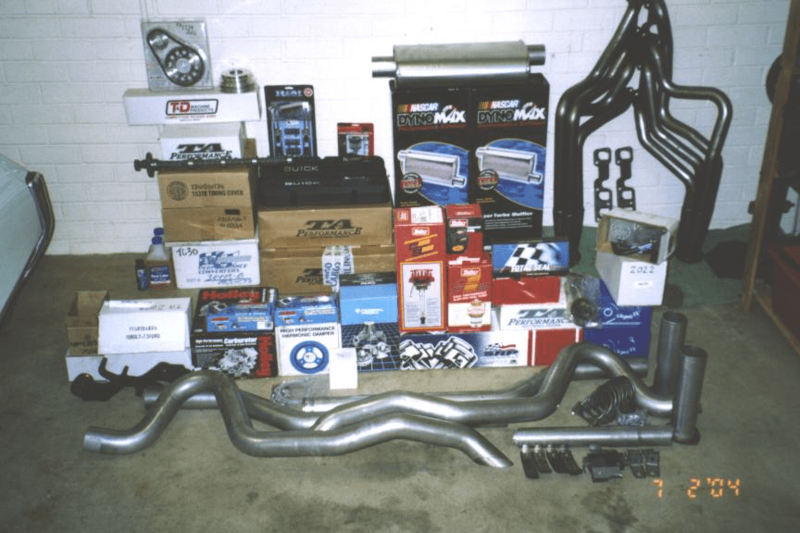 In fact, an aluminum radiator with two rows of 1 1/2 inch coolant tubes is roughly equivalent to a copper / brass radiator with five rows of 1/2 inch tubes. Besides that, multi row brass / copper radiator is not only heavier, it’s added thickness also presents a more restrictive path for the air to travel, especially at low vehicle and engine speeds. Crossflow radiators are more efficient than downflow radiators. 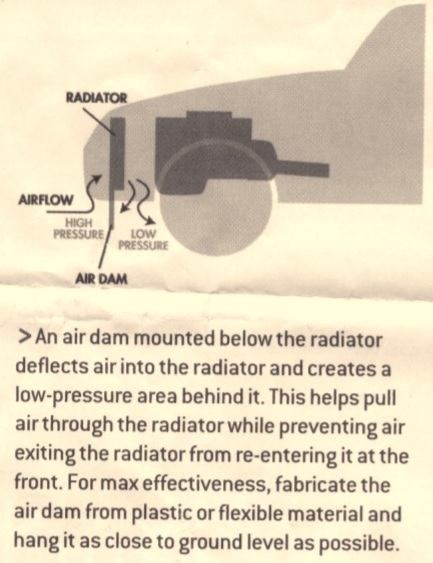 If your car has an old school downflow radiator, it may pay to upgrade to a later design. Assuming the fill cap is on the radiator, on the crossflow design the cap should always be on the outlet side. 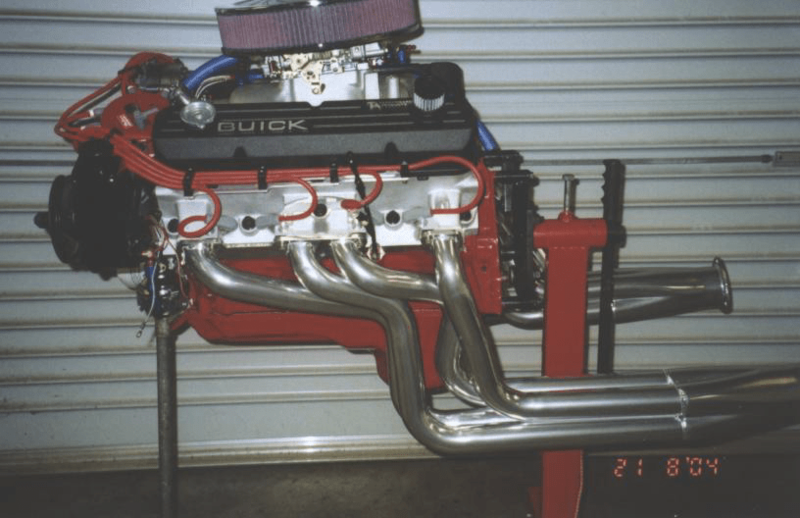 Upright (downflow) radiators have the cap on the inlet side; this subjects the filler cap to the pressure drop of the radiator’s core in addition to the system pressure, effectively lowering the pressure of a 22 psi rated cap to as low as 10 psi. Higher coolant system pressures raise the coolant’s vapor point and thus it’s ability to absorb heat. Always use the highest rated pressure cap available. The radiator filler cap must be located at the highest point in the cooling system. If the engine’s coolant inlet is the highest point, air pockets will form. To prevent air pocket formation under such a circumstance, relocate the filler cap to a surge tank mounted higher than the engine and the radiator. Radiators become less efficient as the coolant temperature approaches ambient. A low flow rate keeps coolant in the radiator longer; the longer the coolant stays in the radiator, the lower the radiator’s efficiency. As radiator engineers put it — “non-laminar or turbulent coolant flow must be maintained within the radiator core”. One way to accomplish this is to insert baffles in the tanks to force the water to go through the radiator twice. The water spends the same amount of time in the radiator but must travel twice the distance, thereby doubling the speed of the water. This is known as dual-pass radiator design. Radiator fin density also dovetails with fan and blade angle configuration. 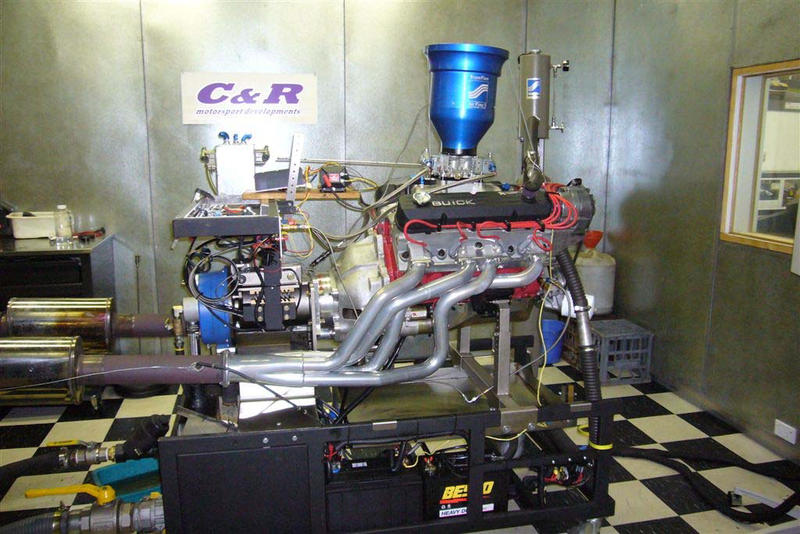 Some experts say high-fin density radiators work best with engine driven fans with steep blade angles. When comparing electric and mechanical fan rpm at idle, remember that with a mechanical fan the drive pulley ratio comes into play. Only if the crank and water pump pulleys are the same size is the fan rpm the same as engine rpm. No doubt in nearly every case, the electric fan will spin faster at idle than an engine driven fan, so if you have a low-speed cooling problem I’d lean toward an efficient electric fan design. Placing the fan behind the radiator is more efficient than a pusher fan placed in front of the radiator. Sometimes multiple small diameter electric fans work better than one large electric fan. The goal is to cover as much of the core face as possible. Failing that, custom fabricate a shroud to duct all air through the fan. If you are towing and / or have a high speed cooling problem, mechanical fans are still preferred. Flex fans vary widely in quality, but even the best flex fan is nowhere near as efficient as a factory style, thermostatically controlled clutch fan. That’s the best you can get. Remember that a fan is designed to create negative pressure behind the radiator to pull air through. The further away it is from the radiator, the less efficient it is. If you’re not running a shroud it is recommended the fan blades be within one inch of the radiator and no more than two inches away. Better of course is to use a shroud that covers the entire radiator area. Position mechanical fan blades so that about half the blade depth projects into the shroud. Fan to shroud blade tip clearance should be 3/4 inch max, less if you can get away with it without causing interference (remember to allow for engine / chassis movement). 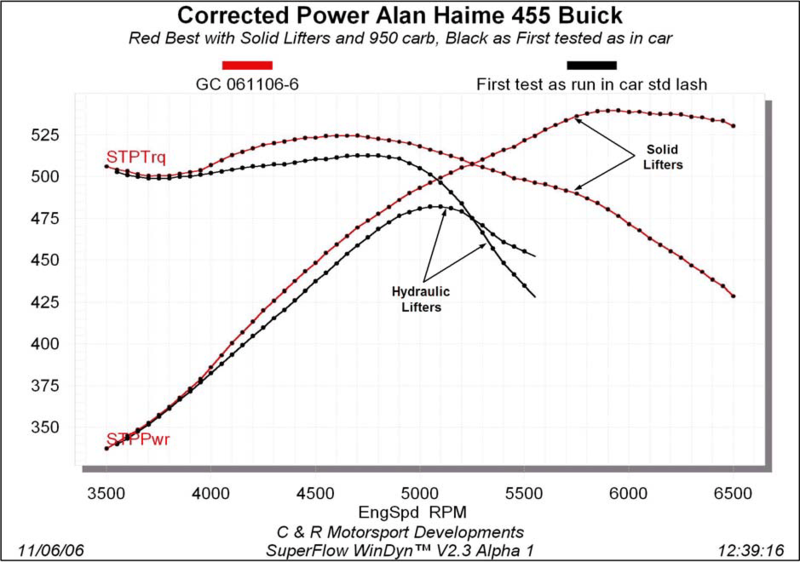 Although a performance water pump may show some improvement, we have not seen significant benefits from full race water pumps for low rpm street use. 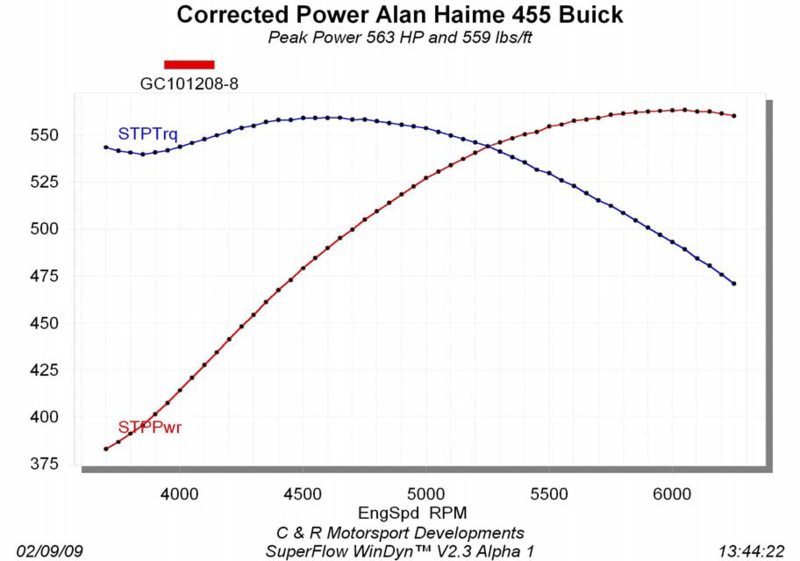 Optimized as they are for sustained high rpm engines, they may actually be less efficient at low rpm. One thing you can do if you have a low speed cooling problem is to change the drive pulley ratio to overdrive the water pump 20 to 30 percent. Certainly don’t underdrive the pump in your application and check that the fan belt(s) have good pulley contact with no slippage. Water is the most efficient coolant medium. Only run coolant if your engine will be exposed to freezing conditions. If running pure water, add a corrosion inhibitor. Finally, there is airflow management through the grill and engine compartment. There should be 3/8 to 1/2 inch maximum spacing between the A/C condenser and radiator. If there is too much space, the air will go around the condenser reducing it’s efficiency. But you can get around this by fabricating an air dam and under chassis plate to scoop air from under the car directly into the radiator. Take a look at late model cars, even stock sedans these days are bottom feeders and have some sort of air dam. Getting air out of a tightly cowled engine compartment is also important. 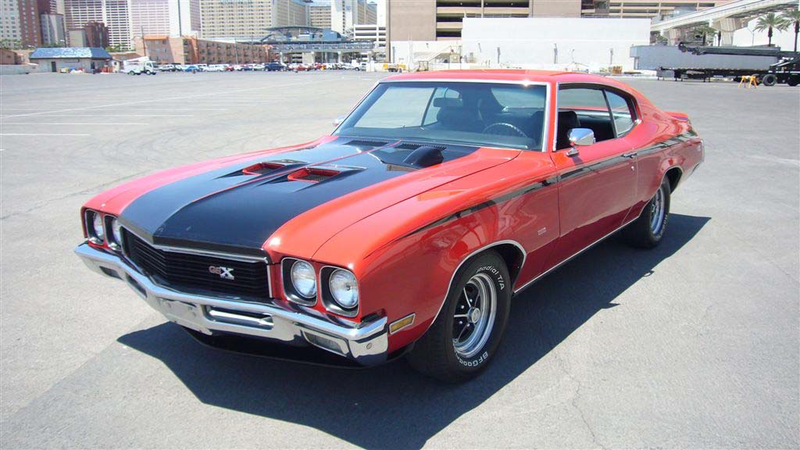 Consider hood louvres or fender extractors. Summing up: a modern high – fin density, dual pass aluminum radiator (two rows or two inch core thickness max) fed by ducted under vehicle air and backed by either high efficiency electric fans with a blade angle optimized for the radiator core design or a thermostatically controlled clutch driven mechanical fan properly shrouded, should solve your problems assuming the engine is sound and properly tuned. Reproduced by Ken Churchman (WA Buick’s) with permission from HOTROD magazine U.S.A. The gills on the side help them swim. Buick takes a dip! leaks, smoke, rattles and other undesirable outcomes that make us wish we hadn’t tried it. horsepower yet still maintaining reliable performance. produced 360hp but most people in the know believe this to be closer to 400hp). transmission, ordered pallets of goodies from TA Performance and began the rebuild. 98 octane pump gas and drives well on the street and strip. I proposed, soon came round when the readies rustled. against the additional sidewall stresses when using a roller cam. more on the engine rebuild. already have a 5/8” oil pickup tube and 9/16” suction passage. ensure the hole is not drilled too deep and into the cam bearing gallery. 3. Installing double grooved cam bearings to increase the oil flow to the LHS lifter gallery. 4. Increasing the maximum oil pressure from around 60 to at least 80psi at high rpm. 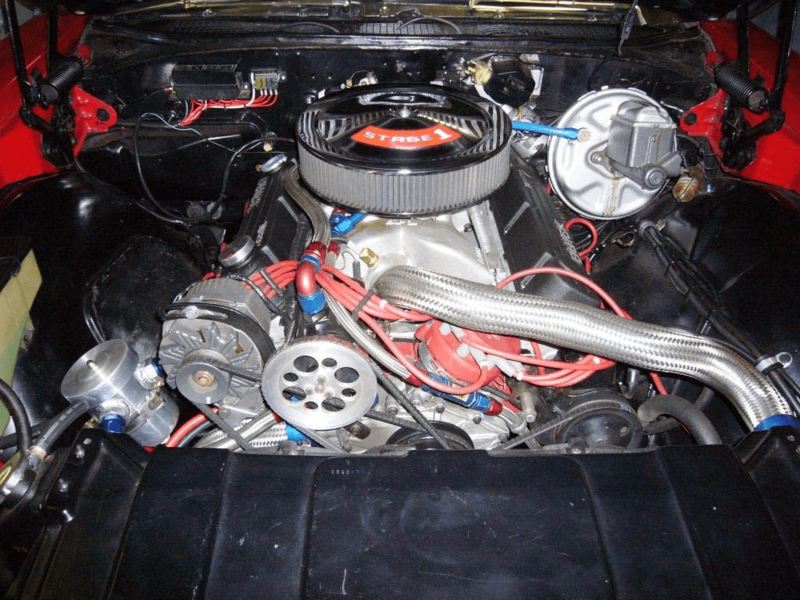 Buick engines, well beyond my league, run on more than 100psi oil pressure! not protrude into the oil passage behind and interfere with the oil flow. air cleaner to hood clearance, which was tight at the best of times. seal bearing pressure sufficiently for the oil to keep it cool whilst not allowing oil leaks. pressure which in turn can cause annoying leaks around the oil pan and bearing seals. crankcase vacuum via the PCV valve port on the intake manifold. hence the large pulley on the pump. compression ratio of 11:1. The car runs on pump gas without a hint of detonation/pinging. I experienced repeated valve stem seal failures when I first used the aluminium heads. Figure 1. Initial dyno curves with hydraulic cam. 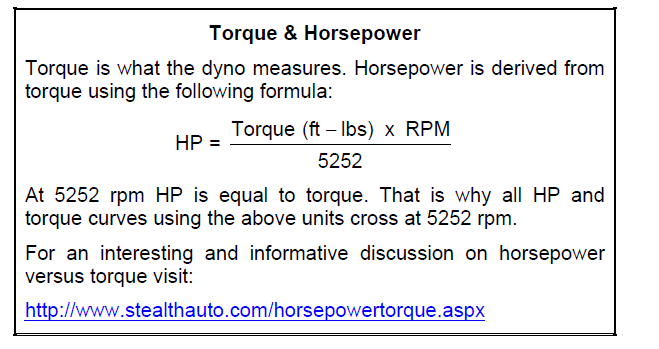 torque curves using the above units cross at 5252 rpm. Figure 2. Final dyno curves with roller cam and solid roller lifters. purchased a double roller timing chain with multiple keyways for adjusting the timing. with the ignition timing – I guess I have been satisfied with the performance. higher 6000+rpm performance should the need, and permission from Lois, arise. Other useful bits and pieces include electric fans, headers and a lightweight starter motor. no more juggling the stock monster into place! driver’s harness is fitted should things go pear shaped. was over 65 when I ran my first quarter mile at the track and I enjoy every second of it. by, doing l the things I couldn’t afford when I was a teenager! collectors; electric fans; deep sump baffled oil pan; crankcase vacuum pump. stainless steel valves; Teflon valve stem seals; cam bumper. producing 563HP/559ft-lb using local 98 octane pump gas. 10 inch rear sports wheels with street legal slicks, 5-point harness.